Too old, too slow is an epithet used against sports teams around the world. And it’s also been used against older drivers—and pilots. But how relevant is age as a predictor of performance? The so-called ‘killing zone’ peaked at about 250 hours for non-instrument rated pilots and about 825 hours for instrument rated pilots. We tend to react more slowly when we have to process something which has an unfamiliar meaning. There’s a classic test which can show the nature of automatic processing against conscious visual control. A study at the Western Kentucky University, published in 2005, found that older adults (60+) were able to understand and adjust to the ambiguities in the Stroop text, but less able to filter out irrelevant information. A study by David Hardy and Raja Parasuraman, entitled Cognition and Flight Performance in Older Pilots, published in 1997 by the American Psychological Association, found age-related decline in perceptual motor skills and memory and, to a lesser extent, attention and problem-solving, with the most marked difference in ATC communications. With the possible exception of time-sharing skills, flight experience did not alter this decline. The authors pointed out that contemporary pilots require high-level cognitive skills, such as decision making, planning and workload management, rather than the physical and perceptual skills needed by early aviators. ‘Such changes have created opportunities for different kinds of human error, and in fact 50 per cent to 75 per cent of fatal aircraft accidents (both civilian and military) are due to human error,’ the authors said. Hardy and Parasuraman describe several theories of cognitive ageing. Fluid intelligence, required for processing of new information, declines with age, but crystallised intelligence, or stored knowledge, does not. The net effect on performance will depend on the task being performed. Older pilots may experience a natural decline in inhibition, making them more likely to process irrelevant information and less adaptable. However, this theory does not take into account the mitigating factor of experience. Cognitive slowing theory predicts that older pilots will have more difficulty under time pressure, though this may only be where overt responses are required. Disuse theory suggests that older adults primarily experience a decline in performance in skills which they do not use frequently. Under this theory, military or airline pilots would be expected to be less prone to performance decline than GA pilots. It’s a good question. A study by Hyland (1993) of B727 pilots on a simulator showed that age did not correlate with an objective measure of flight-path deviation under various workload conditions, although those who were rating the pilots did report age-related differences. Other studies have shown that older pilots are less accurate than younger pilots in reading back radio frequency and transponder commands. A possible explanation is that the older pilots in the studies were already near the limit of their processing capabilities. Various US studies have looked at the correlation between age and performance in flight, and found that accident rates are a function of experience as well as age. 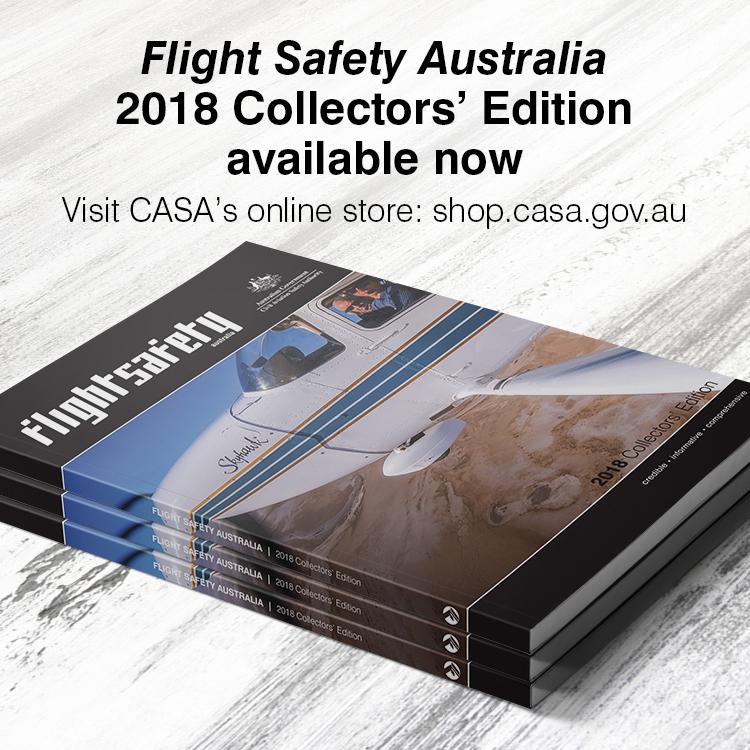 In one study, for example, accident rates among pilots holding a class III certificate (equivalent to the Australian class 2) generally increased with age for low-time pilots, but actually declined up to the 60- to 64-year age group for those with more than 50 recent hours. The US Congress raised the mandatory retirement age for airline pilots from 60 to 65 in July 2009, and in November 2014 ICAO amended its Annex 1–Personnel Licensing, specifying 65 as the upper age limit for pilots engaged in multi-pilot, international commercial air transport. The then chief of the Aviation Medicine Section of ICAO, Dr Anthony Evans, argued in a 2011 presentation that the upper age for airline pilots in command could be safely increased from 60 to 65 in two-pilot operations, but that medical and simulator checks were not yet sufficiently sensitive to enable abolition of an upper age limit. He said that six-monthly simulator checks were better than a medical exam at checking cognitive performance and detecting pilots who fell below required standards, particularly if combined with line checks and peer review. Unlike the US and some other countries, there is no legislated upper age limit in Australia or New Zealand for airline pilots, providing they continue to meet the relevant medical standards and other requirements. But because they must comply with the age restrictions of the countries to which they are flying, older airline pilots are effectively restricted to domestic or Trans-Tasman operations. 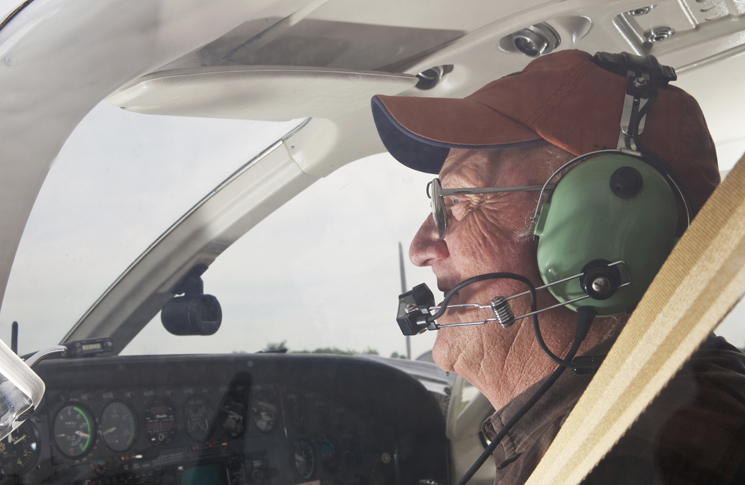 It’s not hard to find stories of commercial pilots who are flying and instructing well into their 70s or even 80s. But is it safe? The answer appears to be yes—as long as the pilot is healthy and maintains their skills. In 2014, in a story written after the death of an 80-year-old pilot in a private plane crash, a 75-year-old retired United Airlines pilot advised older pilots to keep two things in mind: Firstly, they must make sure they are physically fit, not just at the time of their medical exams but in the two years between them. If they weren’t feeling well they shouldn’t fly. Secondly, as they aged they should fly more, not less, to keep skills current—and not simply fly cross country on autopilot. ‘What you need to do is every so often go out and practice manoeuvers such as stalls, slow flight, approaches, take-offs and landings, in order to stay up on your flying,’ he said. Ackermans, J., De Lange, A., Müller, A., Van der Heijden, B., Weigl, M., Wilkenloh, J. (2015). Task Performance Among Employees Above Age 65: The Role of Cognitive Functioning and Job Demand-Control. Work, Aging and Retirement, Vol. 00, No. 00, pp. 1–13, doi:10.1093/workar/wav001 Retrieved April 2017. Great, and timely article. Unfortunately, at least some older pilots refuse to acknowledge that age, life style, genetics, etc can and DO affect our ability to safely and competently perform. FWIW, a quick review of the NTSB db shows several accidents (most fatal) where impaired cognitive function was a factor. The rub here, is that other research involving drivers shows humans don’t reliably self identify problems and refrain from cognitive intensive activities. There is an important role for peers, family, and friends in assisting impaired pilots to make sound choices. This should also apply to airline pilots. Don’t forget the moden glass cockpit pilot – children of the magenta. All pilots need to fly often and re-exercise the plastic brain pathways to maintain unconscious compency. They also need to go back to flying basics – not everything is covered in those commercial checklists – just ask Sully. As a 75 year old commercial pilot flying on a regular basis, I do not feel that I am a threat to the aviation safety statistics as long as I can retain my class one medical and stay fit and current with hands on flying. Some peple are old at 60 some are still “young” at 80. It is not practical to suggest that a certain age should be a cut off for pilots to lose the benefits of their licence.. Completely agree Kevin. My father is 70yrs old and still going strong. He has been flying in Malaysia and PNG for the past 25 years but now looking to move to Perth WA to be closer to me. Do you have any tips for him to build his networks within the aviation industry in Australia since he’s been away so long? Ideally he would like to work in some capacity, even if part time. Are you aware of any online forums/job boards etc that would be worth him investigating? Thank you Kindly in advance :) Seasons greetings to you and yours! My father is 70 yrs old and is looking for work in the aviation industry in Western Australia. After being a commercial pilot on the east coast and overseas for 30+yrs he’s made the call to move closer to me. Only thing, his networks do not reach this far west. Can any Flight Safety readers out there point me in the direction of where we could start looking for work for him?